A powerful intercessor, Padre Pio, also known as Saint Pio of Pietrelcina was a Franciscan priest in Italy known for his piety, charity, and the gift of the stigmata. Padre Pio is responsible for countless miracles. 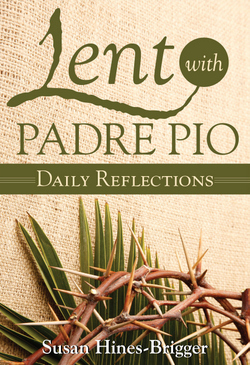 Pray with us during Lent with this year's pocket-size prayer booklet, Lent with Padre Pio: Daily Reflections by Susan Hines-Brigger of Franciscan Media. If you already receive our newsletters and appeals through postal mail, your booklet will be mailed to you mid-February. If you do not currently receive mail from us, you can sign-up to request a booklet below and we send one to you. OneTwo please, so I can share. St. Anthony's Breadbasket E-newsletter gives you an opportunity to learn more about St. Anthony of Padua and how he continues to inspire the Franciscan friars in their work today, especially among the poor. Province of St. John the Baptist, Order of Friars Minor is a nonprofit organization.